Can you leave your child in a place where your kid gets sick because of pest infestation? Certainly not. 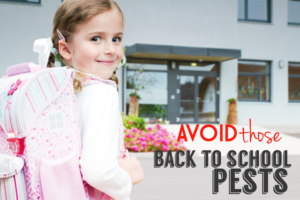 Leaving your kids in a school full of pests can be dangerous for your kid’s health. Also, the infestation of pests in an educational centres can create huge damage to the education properties. Have quarterly pest control services in your schools and colleges from our pest control company to keep pest invasion in check. Have you checked the land before constructing the educational institution? If not, then your education centre will probably have the infestation of pests. As it is known to all people that there are countless pests that exist around human beings all the time. Without your notice, pests start infesting your educational property and ruin your business in a flash. Some pests reside deep inside the foundation of your school or college. When these critters find a favourable opportunity, then these pests appear in the surface of your property to harm your business with their unpleasant activities. Having the infestation of pests inside or in the surroundings of your school and college is not a healthy sign for your educational institution and for the students. Pests leave destruction behind in the form of chewing the objects kept in schools and colleges. There are pests which turn out to be highly destructive for the wooden objects. Schools and colleges are filled with cellulose items and the pests such as termites are extremely harmful for your educational establishments. You should make sure that your education centre has no pest breeding. This is possible only when you conduct pest treatments in your property. Appoint our pest guys to apply schools pest control Brisbane services in your school. Our pest control solutions will not keep pest infestation problems at bay. Get the apt pest treatments from us to eliminate pests from your schools forever. Everytime school and college has innumerable cellulose items which become favorite food for pests such as termites. There are a few pests such as rats, bees, spiders and bed bugs which creep inside the wooden items and make their nesting sites inside the wooden objects. Getting pests inside a school or college is not a big task for pests. A small hole inside or outside the educational institution is sufficient for pests to intrude a school and college. Moreover, the pests have a bad habit of tasting the meals cooked in the canteen of your college and school. Upon consuming the contaminated meals eaten by pests, the health of students and staff might get badly affected. It should be your responsibility to not let pests breed inside the campus of your schools and colleges. Get our pest control measures from time to time to provide your students and staff a pest-free environment. It is necessary to be assured of the pests’ existence in your schools and colleges. When pests infest in your education centres, the critters leave some signs behind. Check out droppings of pests in the open spaces such as on the floors, on the countertops, under the table and so on. Walk around your schools and colleges to see if there are burrows, holes, or honey bee comb in the exterior parts of school and college building. Look for discreet places to see the nesting sites of pests. Places which are not used for a long time or dark places become the resting zones for pests. Pests are often found to be moving around in greasy and dusty places. You will notice dusts and grease marks on the surface of the objects used in schools and colleges. Damaged properties in schools and colleges are the prominent signs of pest invasion. 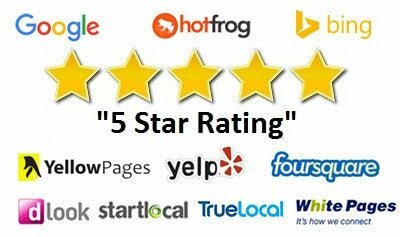 The authorities of colleges should implement our recommended “college pest control Brisbane” services on a regular basis. It is not just in residences, but pests have found to be creating nuisance in schools and colleges too. The pests which are the reason of destruction in schools and colleges are rats, bed bugs, termites, bees, wasps, cockroaches, ants, silverfish, moths, flies and mosquitoes. Not all pests will prefer same nesting sites to hide or they will like the food of human beings. The size and habitat of pest species will be different. Do you know which specie of pests has infested in your college? You need to stay updated with various species of pests which scurry around the educational sectors. Our pest control Brisbane officers will update you every little information pertaining to the pest species. Upon seeing pests in your educational centres, you will rush to the nearby pest shops to get over-the-counter pesticides which may create more problems to the valuable items kept in the educational institutions. The local pesticides contain chemicals which might effect the surroundings and the objects. Moreover, you do not know the hidden nesting sites and how much quantity of pest sprays to be used. Therefore, you should get our “schools pest control Brisbane” pest products which will be effective for your schools. Our pest control specialists will arrive at your school to execute the pest control services in a professional way. We focus to deliver supreme quality of schools and college pest control Brisbane solutions, so that the educational institutions be safe from pest attacks. Our trained and licensed pest guys will first assess the premise and the indoor area of schools and colleges. We provide safe solution to our clients by delivering eco-friendly and high-quality pest services. Our execution plan starts with inspection. Our pest inspectors will inspect every corner of the indoor and outdoor places to find out the unreachable nesting sites. No matter how unreachable the breeding site is, our pest inspectors will use the right pest equipment to bring the pests on the surface. After the assessment process is over, our pest technicians will go through the assessment report and will decide the right type of pest solutions to be applied. The use of pest gels, pest baits, pest surface sprays and other pest products will eliminate the pests and their nesting sites. Our clients can hire our pest control Brisbane solutions at a budget-friendly price from our pest control company. No extra charges will be charged from our clients. Apply for a free quote from our website to enjoy the free quote service.